Apes 110 Code of Ethics for accountants’ sets a clear framework of the conduct professional accountants should adhere to in carrying out their audit assignment so as to avoid any form of threat that may affect their independence (Miglani, 2014). It is stated that Kirk has not paid the previous year final payment of 20% of the audit fee. The pending audit fee may bring about self-interest threat. It can end up to be deemed a loan to the client hence an interest from the auditor to the firm. Familiarity threat as a result of the debtor-creditor relationship in an attempt to follow up on the pending dues. This will in return affect auditors’ independence as he will have an interest in the business thus favor the audit opinion or be familiar with the client to an extent of compromising results. Emma Feeney, an accountant at Artarmon accountants (the auditing firm) has been employed by Moonies (the client) as an assistant accountant. This is a violation of Apes 110 code of ethics. This may lead to a self-review threat as the audit firm staff is involved in preparation of the statements to be audited by the firm they belong to. This will thus seem like review of ones work and thus independence will be compromised. Apes 110 code of ethics states that an audit firm should not generate more that 15% of its annual audit fees from a single client. This has been violated as the audit of Moonies comprises 30% of the audit fee to Artarmon Accountants. Intimidation threats from the client as they know they have power over the audit firm because of their big stake in their business. Self-interest threats from the audit firm in an attempt to continue securing the engagement. This will definitely affect integrity of the audit assignment as they will have to act as per the clients wish to secure reappointment and thus no independence (Dicks, 2017). Ken Smith has noted that valuation of inventory does not follow the set accounting standards. Apes 110 require that Ken Smith should report this independently and truthfully without any internal or external influence. Self-interest threat may arise as the Audit firm will have to act as per the wish and orders of the client so as to secure the contract in the next financial year otherwise the client will seek another firm. Ken Smith is said to have done the audit of Moonies for six years now and he will further be joined by Dave Dunne Who has also been auditing the company for the past nine years. This will lead to familiarity and self-interest threats on the part of the audit personnel. Apes 110 code of ethics requires that there should be a rotation of the senior auditor. This is because they have influence over the audit exercise and their long engagements with the client may lead to both self-interest and intimidation threats that will affect the independence of their judgment on the audit assignment outcome. 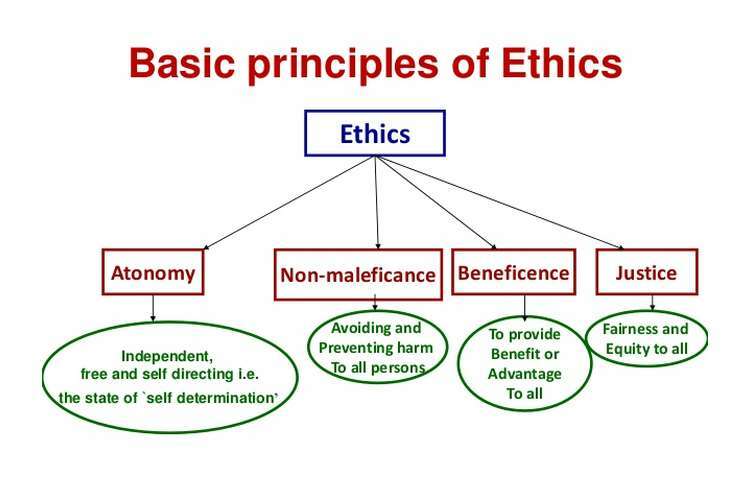 The five ethical principles as stated by Apes 110 Code of are: Integrity, Objectivity, Professional competence and due care, Confidentiality and Professional behavior. Scenario D is purely peer review and does not amount to violation of any of the general ethical principles as per APES 110. It rather promotes the principle of integrity as through peer review, omissions and misstatements may be identified and corrected. It can also easily identify violation to the principle of objectivity as the work is purely reviewed by an independent party who is not involved in the direct audit assignment. 1. Dicks, H. (2017). Environmental Ethics and Biomimetic Ethics: Nature as Object of Ethics leadership and Nature as Source of Ethics. Journal of Agricultural and Environmental Ethics, 30(2), pp.255-274. 2. Miglani, S. (2014). Voluntary Audit Committee Characteristics In Financially Distressed and Healthy Firms: A Study of The Efficacy of The Asx Corporate Governance Council Recommendations. Corporate Ownership and Control, 12(1).